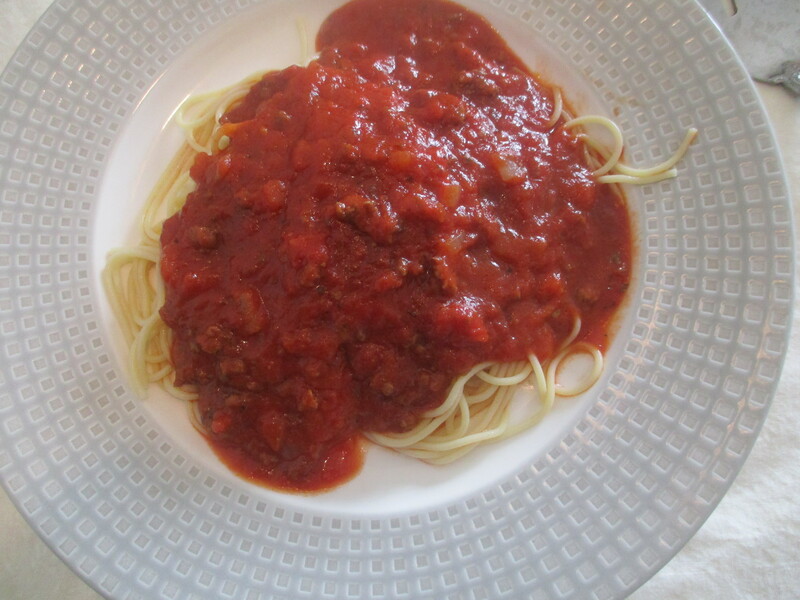 This is clearly not any kind of authentic recipe but just my own version of spaghetti. My kids love this and I am posting it so I can put it in with my recipes. I have been making this for the past 20 years. Fry ground beef in a pan with chopped onions and garlic. Cook ground beef until well done. 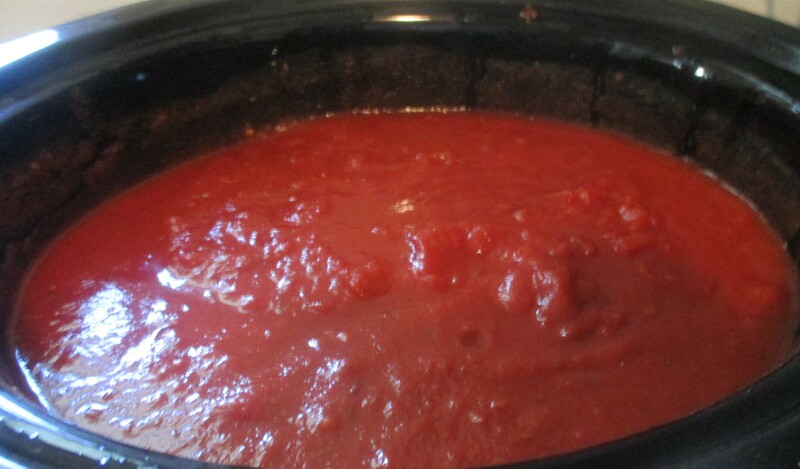 Put all sauce ingredients (except: sugar, Parmesan cheese and spaghetti )into a crock pot and whisk. Add the beef mixture and stir well. Turn crock pot on and cover. Let sauce simmer for several hours. Of course all crock pots have different temperatures and heat will vary so use your own judgement regarding temperature settings. This can also be cooked in a large pan on the stove. In the last few minutes of cooking, add sugar and Parmesan cheese, mix in well. Cook spaghetti, drain. 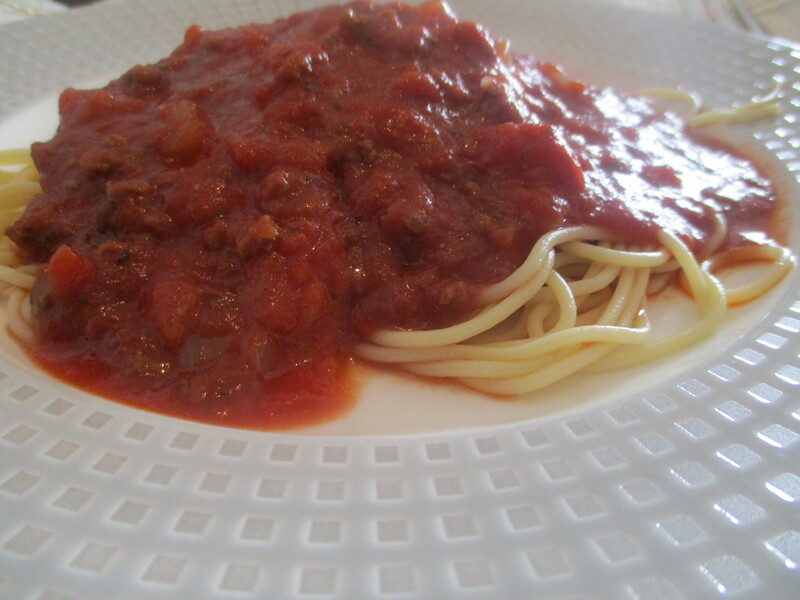 Ladle sauce over cooked spaghetti.